First up, we now have 4 core fragrances - Linen, Field, Sea and Wild Rose (previously Rose). All 4 of these fragrances have the entire range of products; large and small candles, soap, hand wash, hand cream, diffuser, scented sachet, fresheners and our newest product - drawer liners. 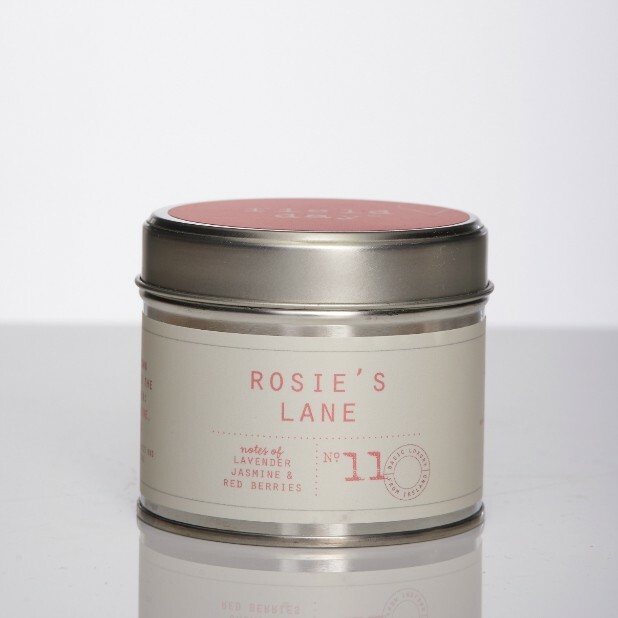 Our Linen and Wild Rose are exactly the same fragrance as always - you can't improve perfection! 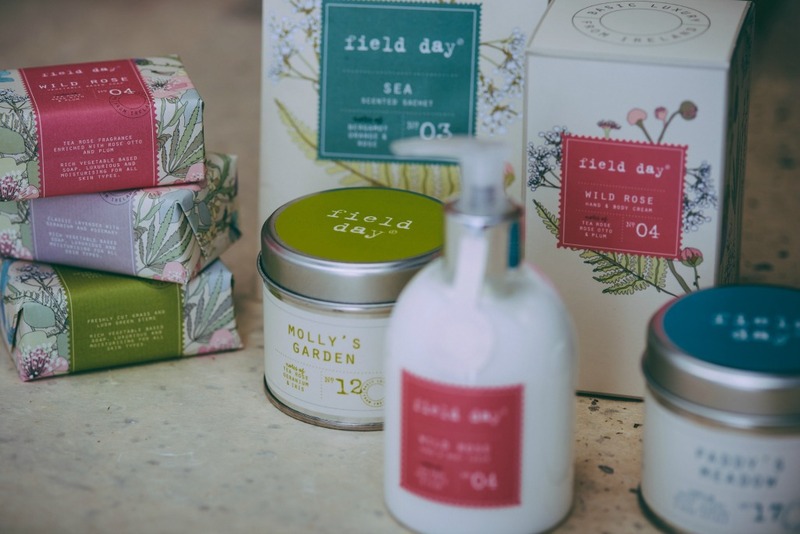 With Field, we've made the fragrance a little stronger and we've also added some fresher notes to our Sea range. Within the core Field Day range, the soap, candles, hand care, sachets & fresheners are all as before but we've added drawer liners for the first time ever. Each drawer liner package contains 6 liners infused with fragrance which will last 4-6 weeks. They're folded and flat-packed so are perfect for travel or for posting to friends and family. Also within the core range we are introducing a Sea Diffuser for the first time and the good news is that our diffuser design has been updated to make it much easier to open. The bottle is made from thicker glass and is more squat and broad with a narrow opening. Additionally, we've replaced our wooden diffuser sticks with white fibre sticks which have a 40% greater fragrance throw. 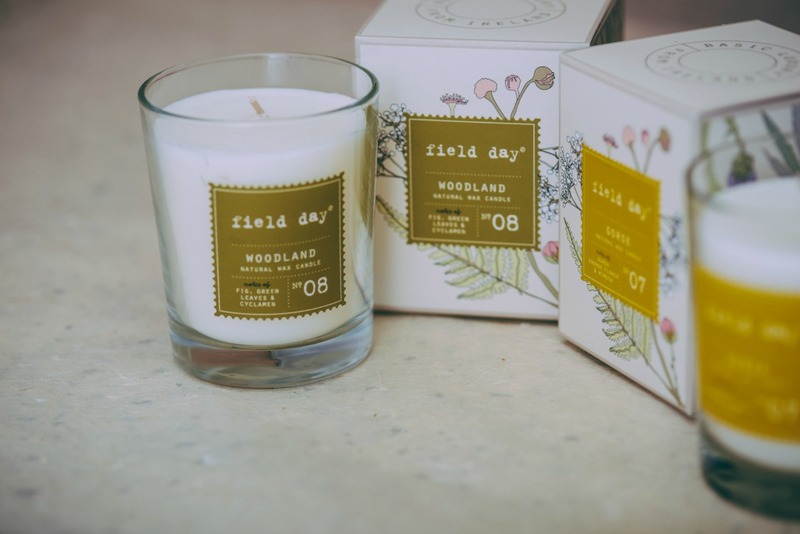 As part of the rebrand, we are launching 5 new Field Day fragrances; Gorse, Tea, Fireside, Woodland & Garden, in large candle format only. You can see each of these and read about the fragrance notes if you click on the names. 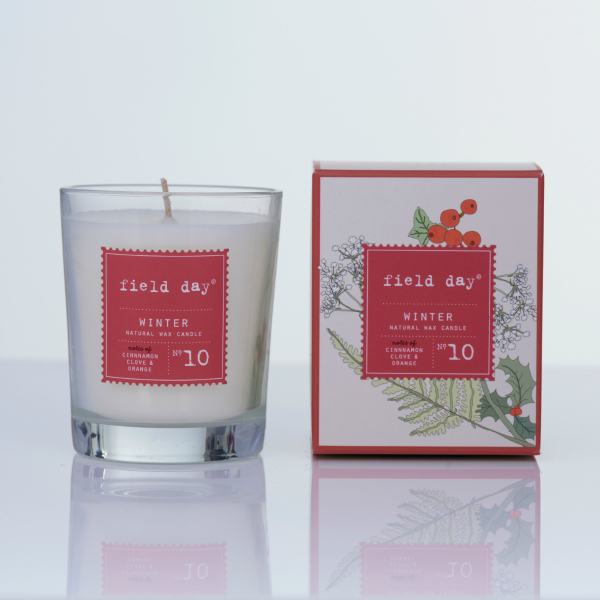 For all our Winter fans, the Field Day Winter fragrance will be available from August 2017 as a limited edition Christmas range with festive packaging. 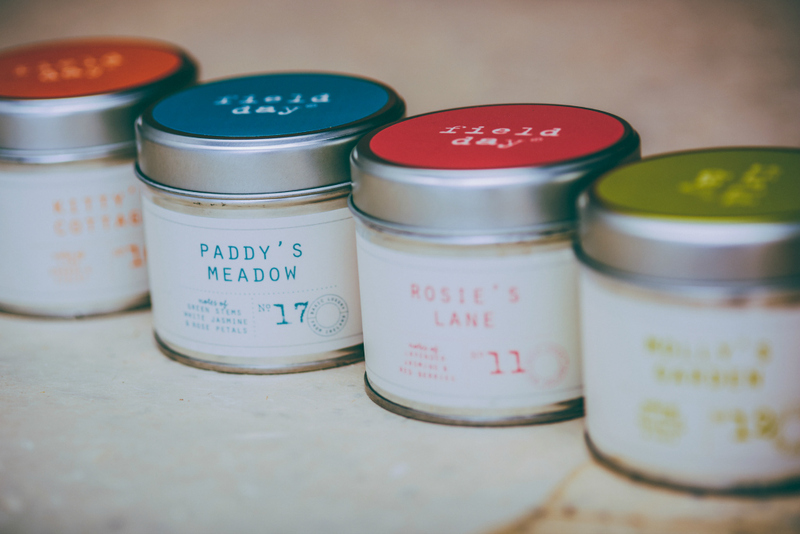 Finally, our 6 candle tins remain unchanged - apart from the packaging, which has been freshened up so that the look and feel is in keeping with the rest of the range. And that's it! We promise we won't be rebranding again...it's not an easy process. 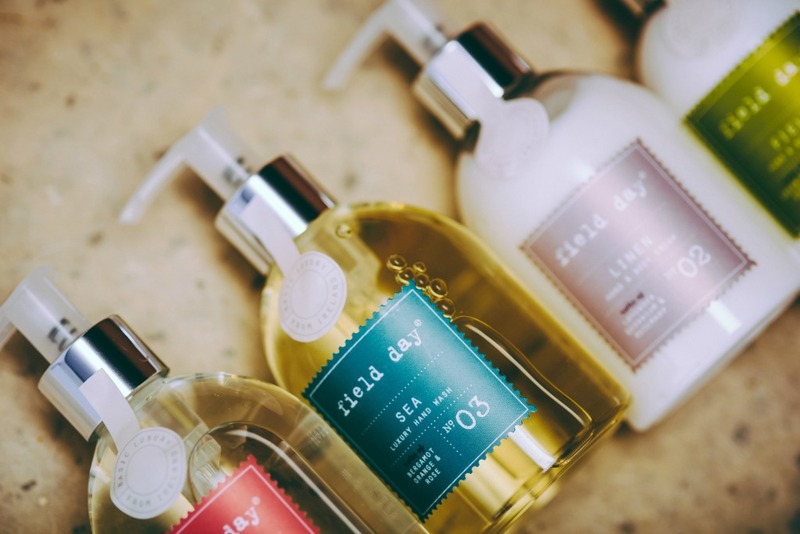 But it was worth the effort as we are delighted with everything and know it will help bring Field Day to a wider audience around the world and allow us to grow further as a business. I hope you love it too. 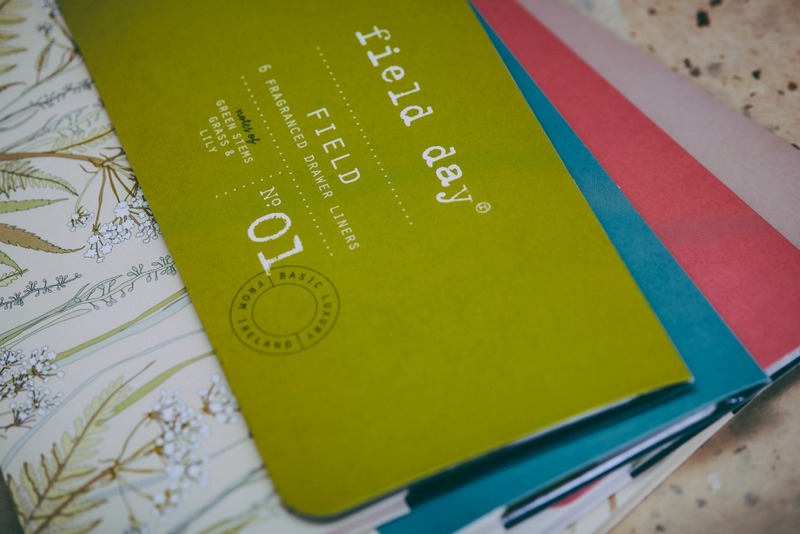 If you've any questions, please don't hesitate to get in touch with the team here on info@fielddayireland.ie. We'll be launching a lovely competition on Facebook in the next few days so keep an eye out for that!